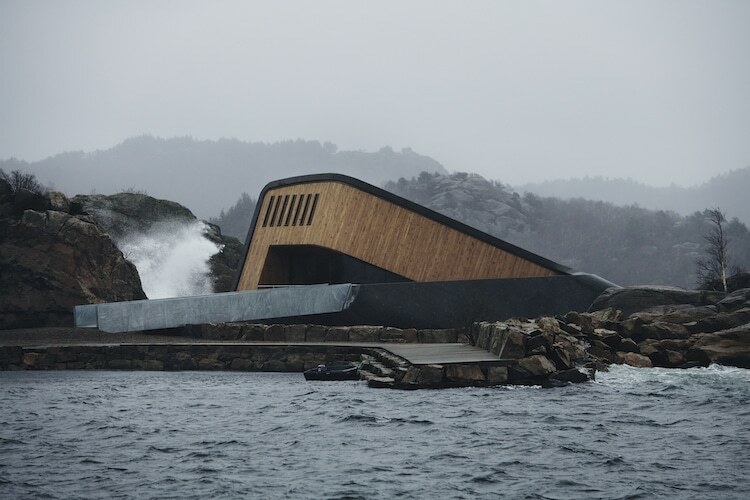 Norway’s long-awaited underwater restaurant is finally open to the public. 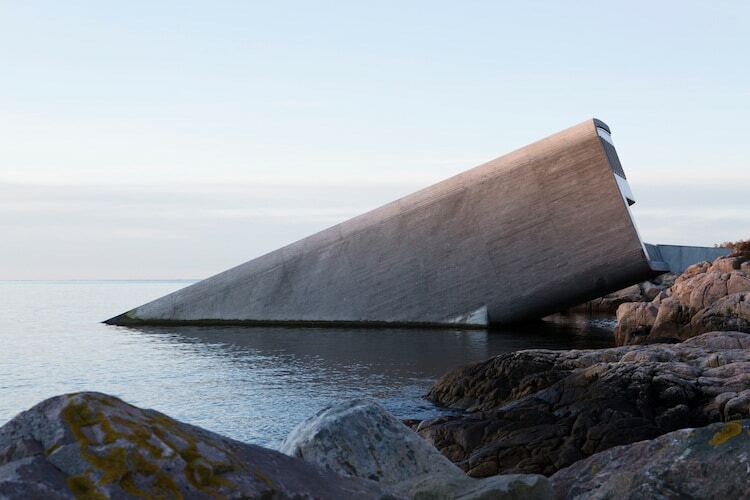 Under is a masterpiece of design by Norwegian architectural firm Snøhetta. 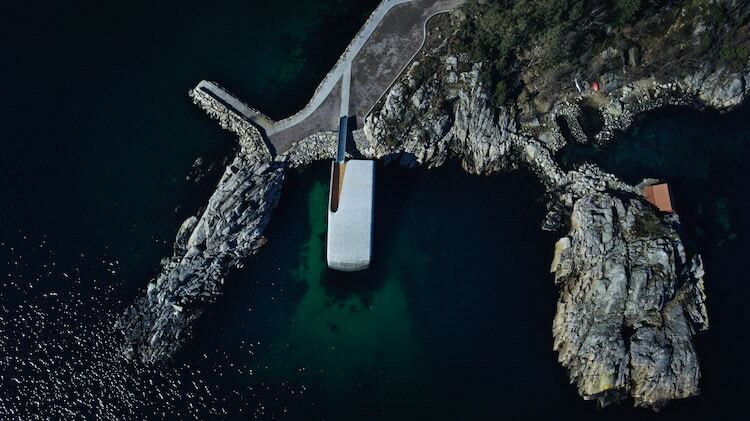 In opening Europe’s first underwater dining experience, they’re allowing visitors to take in the rich biodiversity of Lindesnes while enjoying a world-class meal. 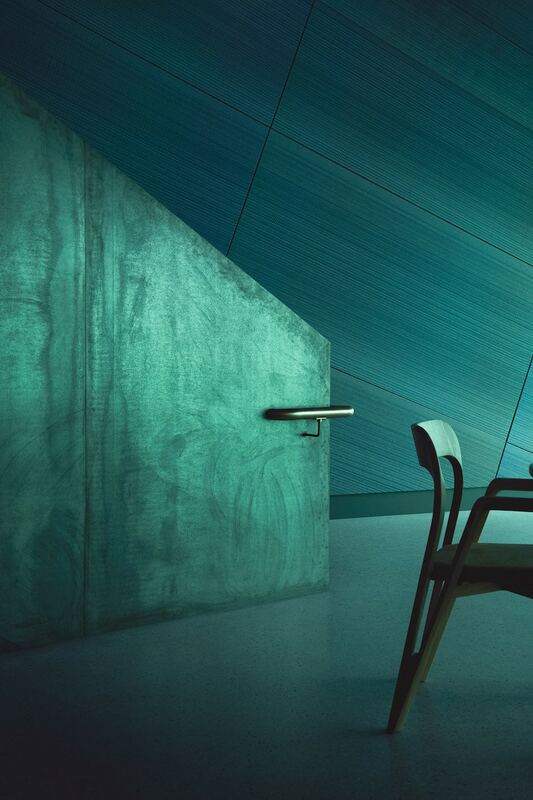 As diners descend the three levels of the restaurant, moving from the oak-clad entrance down an oak staircase through a champagne room and main dining area, they pass from warm wood tones to a cool blue and grey environment. The raw concrete is complemented by a large panoramic window that caps the tube, giving a vision into the wild sea. It’s this untamed view that helps set Under apart. While other underwater restaurants are located in aquariums, here there’s the thrill of safely enjoying wild nature up close. 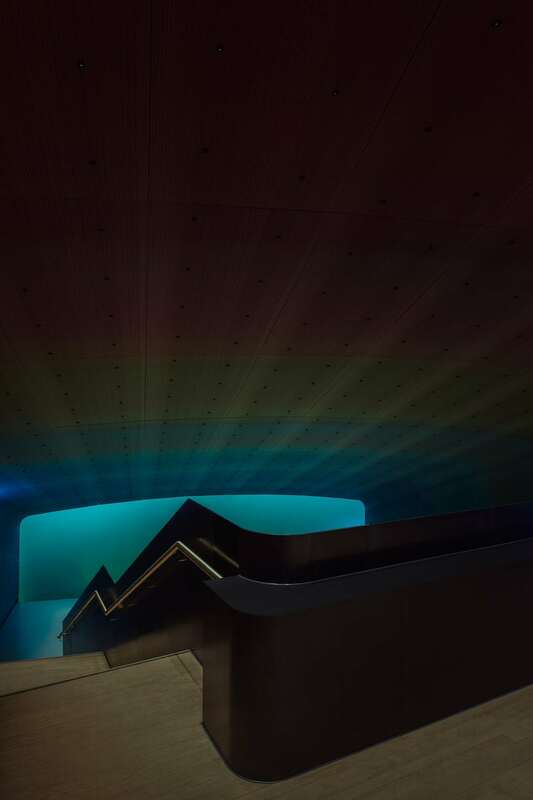 To ensure good visibility, even at night, Snøhetta has added dim lighting in the seabed with low interior lights to create a gradient that allows the deep colors of the sea to pop. A tall vertical window runs up to the champagne room, letting in light and allowing guests to view sea level while sipping their drinks. 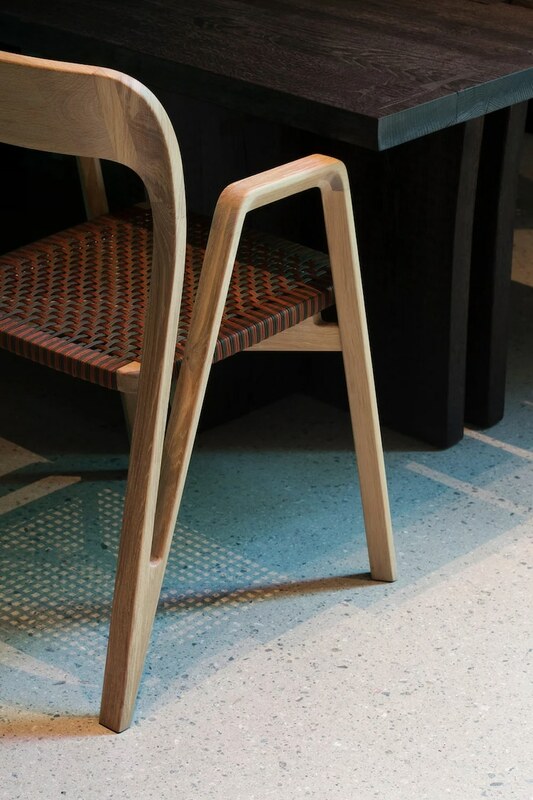 For the interior, wood is the predominant feature. 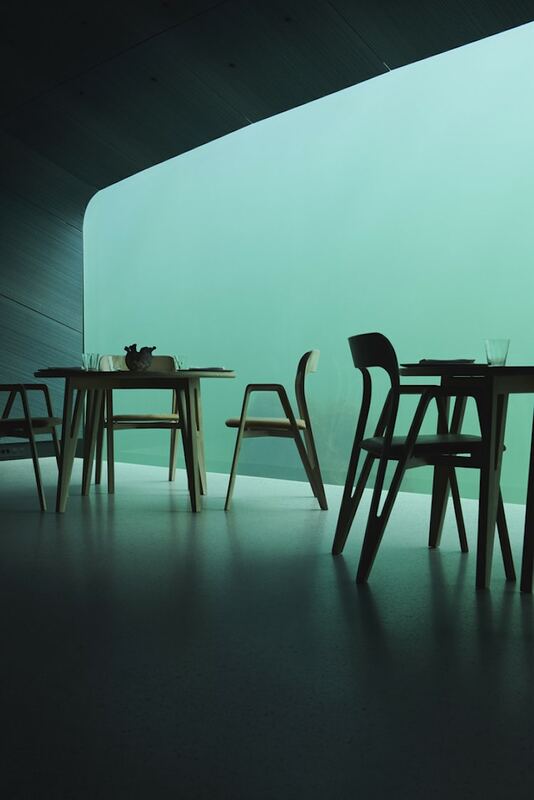 The custom furniture is minimalist and clean to keep focus on the sea views. 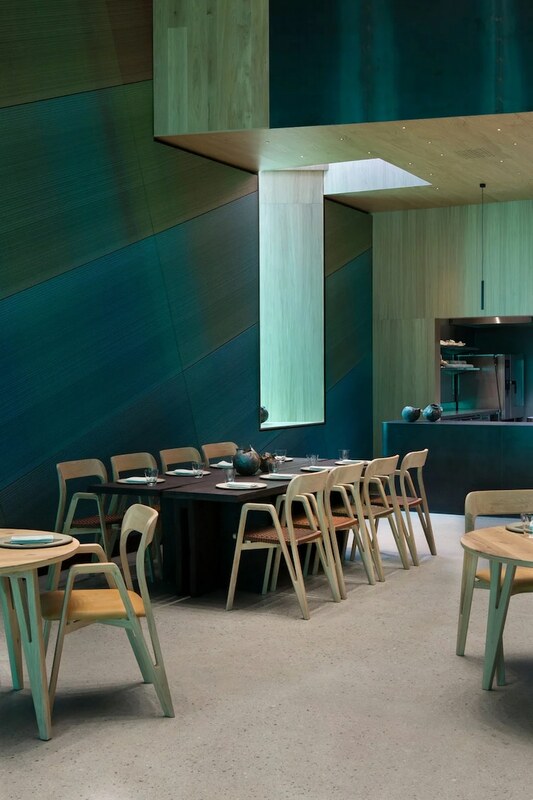 Ceramics made by local artists using sand from the seabed give continuity between outdoor and indoor, while blue and green acoustic panels are a nod to the sea. In contrast, the champagne room is a warm orange and pink environment, a choice made to symbolize the sand and shells found on shore. 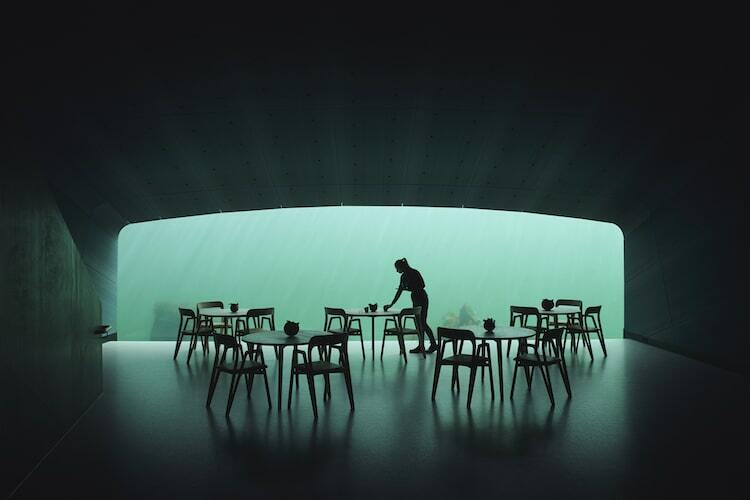 The overall feel is surprisingly light and airy, as the architects worked hard to ensure that the underwater restaurant wouldn’t feel claustrophobic. And the architecture isn’t the only impressive part of Under; to match the extraordinary design of the building, chef Nicolai Ellitsgaard has assembled a top-notch kitchen team to serve high-end cuisine centered around locally-sourced ingredients. 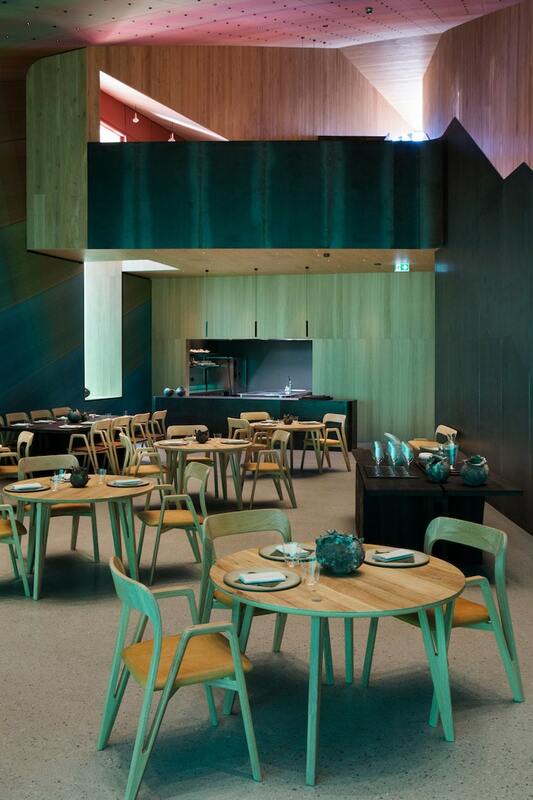 Coming from a Michelin-starred kitchen, Ellitsgaard is up to the task of serving the over 7,000 people who have already booked a table at Under. Co-owner Gaute Ubostad, who owns a nearby hotel, told Reuters that he expects about 12,000 people to dine at the restaurant over the course of the year. 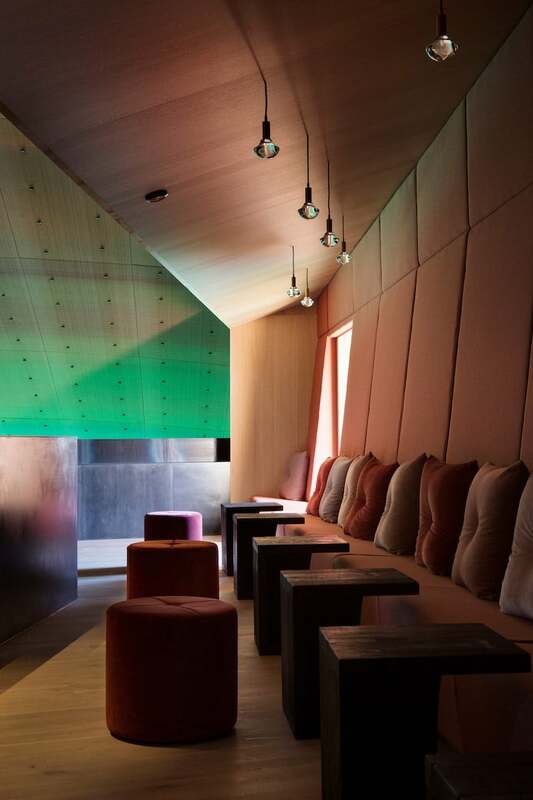 Under, which has a capacity of 100, will typically host 40 people on a normal night. So get in line and book your table early if you want to experience the adventure of Under. If you go all out and splurge on the 18-course tasting menu, you can expect to pay about 3,700 crowns ($430) including drinks. 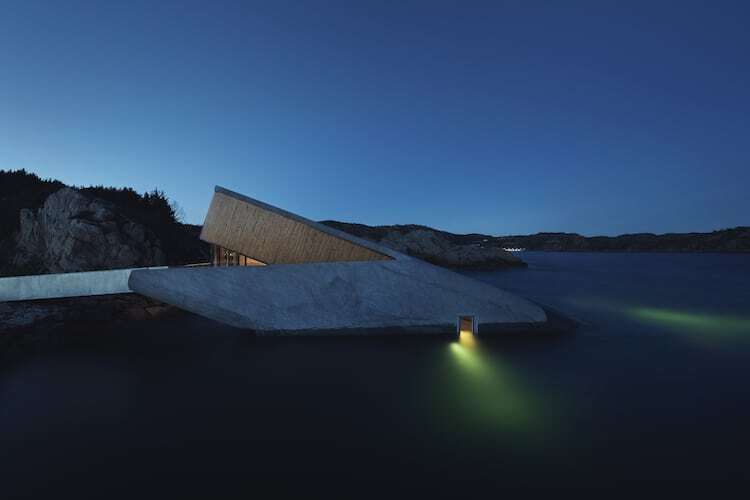 Under, located in Norway, is Europe’s first underwater restaurant. 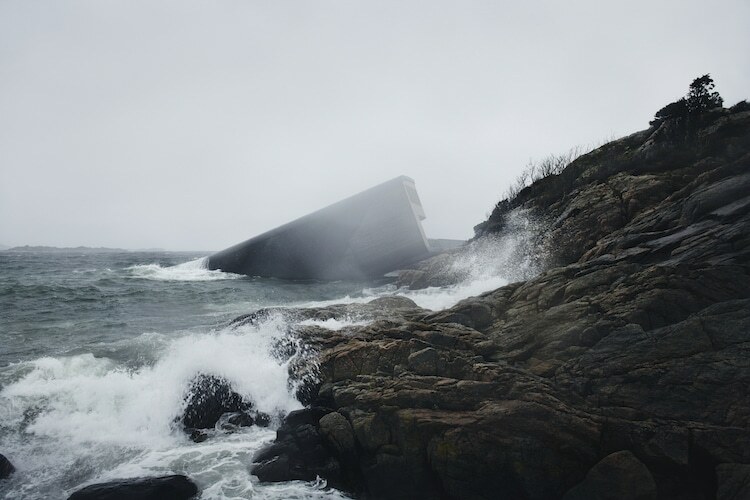 Snøhetta conceived it as a long, concrete tub sinking about 16.5 feet below the sea. The interior is surprisingly airy and dominated by custom oak furniture that warms the space. Over 7,000 people have already reserved a table in order to get a taste of this underwater dining experience. 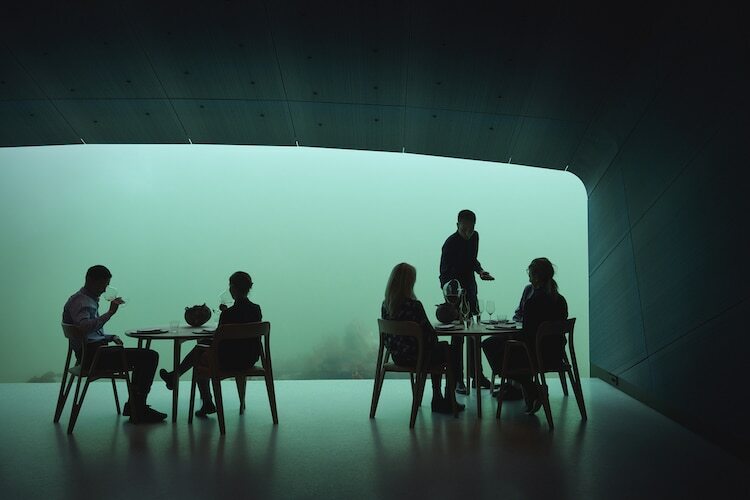 The post Europe’s First Underwater Restaurant Lets Guests Dine Below the Norwegian Sea appeared first on My Modern Met.